Estate planning is about more than just creating a will, and it is not something that is a concern only for senior citizens. 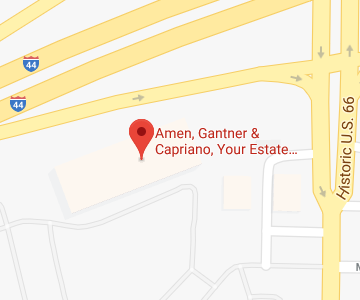 Everyone needs a comprehensive estate plan, and Amen, Gantner & Capriano – Your Estate Matters, L.L.C. can help you to create yours. What should be a part of my estate plan? How can a St. Louis estate planning lawyer help? You should create an estate plan if you have any assets, have anyone depending upon you, or want to make sure that you control your own future in case of illness or injury. Many people think an estate plan is needed only for the elderly to create a will. This is not the case. An estate plan involves many different legal tools designed to extend your autonomy in the case of incapacity, designed to protect your family, and designed to protect your assets. Young people and older people can all create a plan that is appropriate for them and that provides protection both now and in the future. While you may need to modify and change your plan over time, the sooner you get the framework in place, the more protection you will have and the less chance there will be that you could find yourself unprotected in case of an unexpected illness or injury. A last will and testament. Your will can provide instructions for how property and assets are to be distributed. You can also name an executor who will be in charge of overseeing the transfer of assets and managing your estate until property and money transfer to heirs. A burial plan. You may wish to take control over planning your own funeral in advance so family members don’t have to and so you get the memorial that you want. An advanced directive and/or living will. An advanced directive and living will give you control over the most important and difficult medical decisions. If you don’t want a feeding tube, CPR, or other extreme measures taken to save your life, you can specify this in advance so your family doesn’t have to make tough choices and so you aren’t kept alive when you wouldn’t want to be. A power of attorney. Creating a springing durable power of attorney and giving general authority to an agent means you can name someone who will take over management of your assets if you become incapacitated. You can also create a healthcare power of attorney and name someone to make decisions not specifically addressed in your living will or advanced directive. Revocable and irrevocable trusts. Trusts can be very powerful. A trust can protect you from needing to spend assets before getting Medicaid to cover nursing home care. A trust can also help to ensure that your heirs do not squander their inheritance and can help to prevent estate taxes from being assessed and reducing the value of your estate. There are different kinds of trusts for different purposes, so the right one(s) must be chosen. Whatever your age, family situation, or financial situation, a St. Louis estate planning attorney can help you to make a solid plan that addresses all of the legal issues important to you. Get started today so if the unexpected happens, you and your family will be as secure as possible. Amen, Gantner & Capriano- Your Estate Matters, L.L.C. can provide assistance to clients of all ages with the creation of a comprehensive estate plan. We understand how important it is for you to protect your legacy, take care of your family, and address end-of-life issues. We will work with you on your plan every step of the way until you are confident that your future is secure. Give us a call at 314-966-8077 or contact us online to learn more about how we can help.